Aya Oki is a Japanese artist based in San Bernardino, California, who creates sculpture that comes from her personal process and interaction with the glass. Oki earned her MFA at Rochester Institute of Technology in 2014, and has since been traveling the world as an artist and an educator. 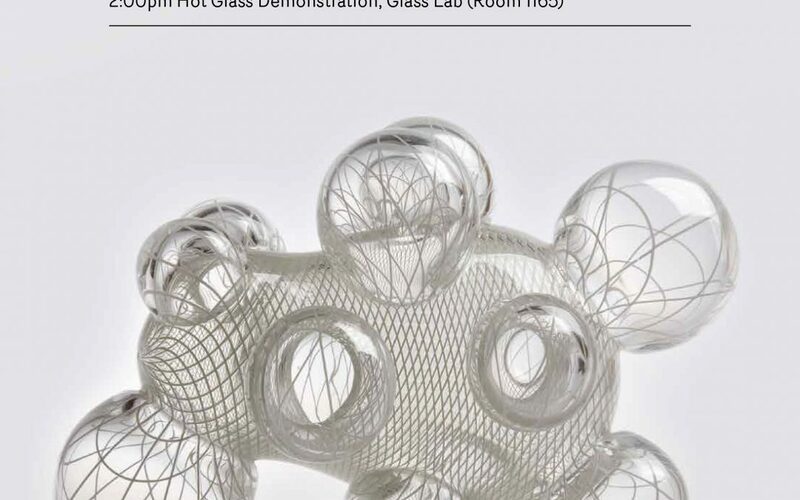 Oki will deliver a lecture at 1pm in the Art Lofts Conference Room, followed by a hot glass demonstration at 2pm in the Glass Lab.